Our lesson program is unique to you, what-ever your age, desire or expectation. Some of our students show at local, A Circuit and World Level events, while many others just ride just for fun and relaxation. 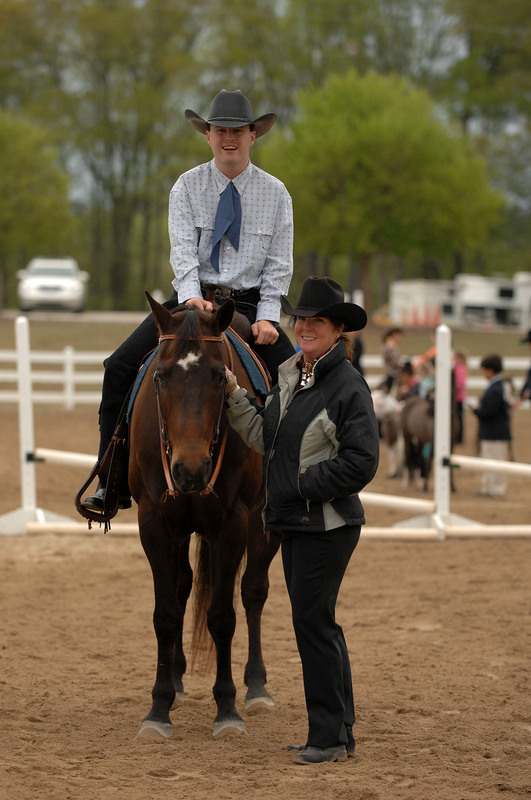 We also specialize in students working towards college equestrian scholarships. Both arenas are fully lit and adjacent to the barns. They are equipped with poles, dressage letters, cones and assorted trail obstacles. Covered seating is available for the whole family to enjoy watching the lesson. A separate and permanent trail course with bridge, mailbox, gate and poles is also available. 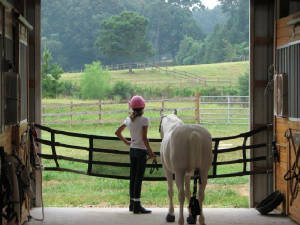 While lessons primarily take place in the arena, we can also teach trail riding skills. Our private lessons are $50 for one hour or $35 for 30 minutes. We do also offer group lessons, with a maximum of three students per at $40 each. The emphasis is on safety, fun and education. We teach both English and Western equestrian disciplines, including; Western Pleasure, Miniature Horses, Hunt Seat, Classical Dressage and Western Dressage, Trail and Ranch Riding.